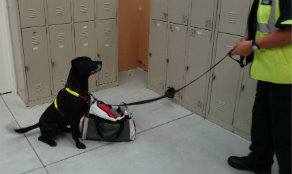 Our Detector Dogs are a fast, reliable and cost effective screening tool for detecting specific risks and hazards such as drugs and explosives. 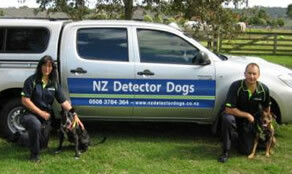 Trained to the highest standards in New Zealand our accuracy and detection rates are second to none in the private sector. 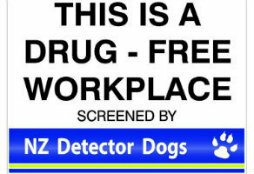 NZ's leading service provider of drug dogs. With our experienced, professional handlers and drug dog teams, trained to the highest standards, you will have an accurate result. There is not another company in NZ with our level of expertise or experience. With a proven nationwide track record of drug and explosive screening, take a look at some of the feedback we have received.